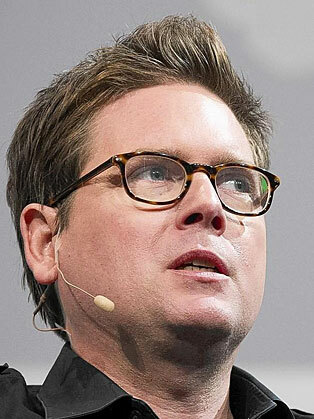 “Biz Stone” was born Christopher Isaac Stone in 1974 and attended but did not graduate from, both Northeastern University and the University of Massachusetts. Aside from Twitter, Stone is an angel investor and advisor in the startup community having backed companies in a diversity of industries such as Square, Nest Labs, Beyond Meat, Medium, Lift and GoodFit. Stone is a board director at Beyond Meat, Medium, GoodFit and his newest startup, Jelly Industries. In May 2017 Stone announced he is returning to Twitter Inc. in an unannounced role. Stone and his wife founded and operate the Biz and Livia Stone Foundation, which supports education and conservation in California. Stone was named 2009 Nerd of the Year by GQ magazine, one of the Most Influential People in The World by Time magazine, Entrepreneur of the Decade byInc. magazine, and one of Vanity Fair's Top Ten Most Influential People of the Information Age. Stone was honoured with the International Centre for Journalists' first Innovation Award in 2010. He also holds an honorary Doctor of Laws from Babson College, and is a Fellow at Oxford University. Interesting Fact: From 2003 to 2005, Stone was employed by Google.